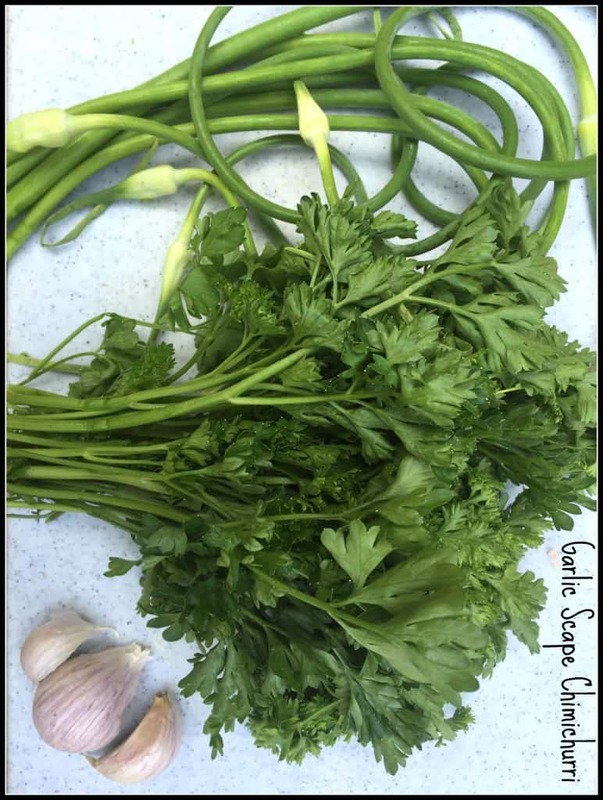 If you have a food processor, this garlic scape chimichurri is a quick and easy way to give a simple grilled steak or chicken a wow factor! In one of my CSA boxes from Sweet Georgia P’s Farm this summer, I received the most beautiful bunch of garlic scapes. 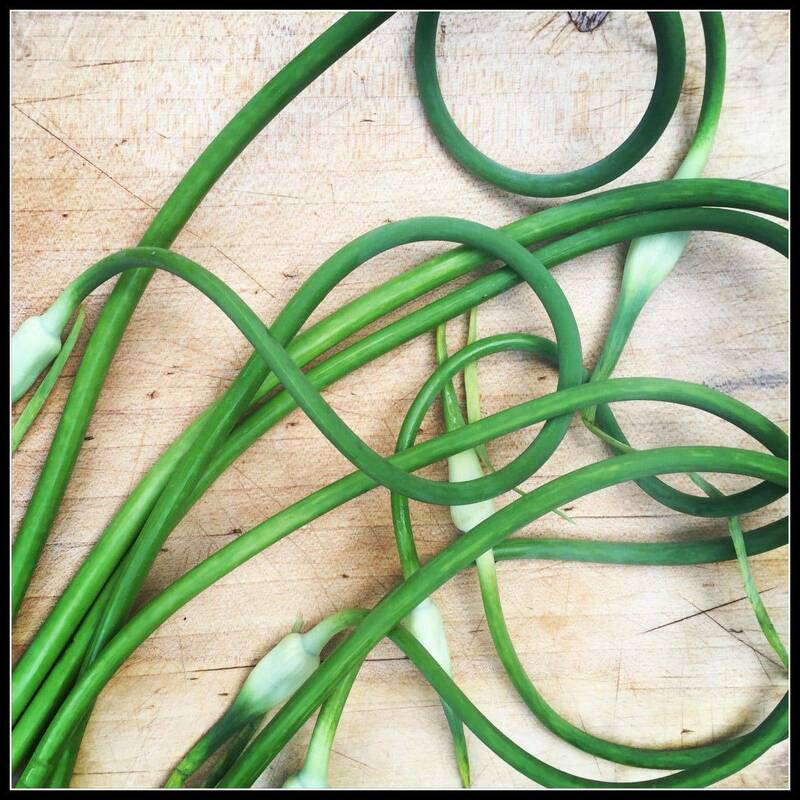 Garlic scapes are the twisty green tops that grow above garlic and they taste just like – wait for it – garlic. Garlic scapes really can be used in just about anything calling for garlic. I was able to use my bunch of garlic scapes all week in long – in salad dressings, in salsa, in pesto and tossed with pasta… So many options! Chimichurri is a kind of like pesto – except it is made with a ton of parsley instead of basil. It keeps well in the fridge for a couple of weeks or, if you really have too much, freeze it in ice cube trays and then store it so you can add a garden-fresh herb kick to another meal when your herb garden might not be so herbaceous! 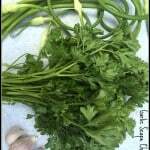 This garlic scape chimichurri is a perfect topping for steaks, chicken, or fish. Combine all the ingredients in a food processor. Pulse until combined. Add salt as necessary. If it's too thick, add another drizzle of olive oil. Serve over chicken, steak, steak tips, or fish. Oh yes please ! I love this brilliant twist on chimichurri, gotta try it ASAP ! Thanks! 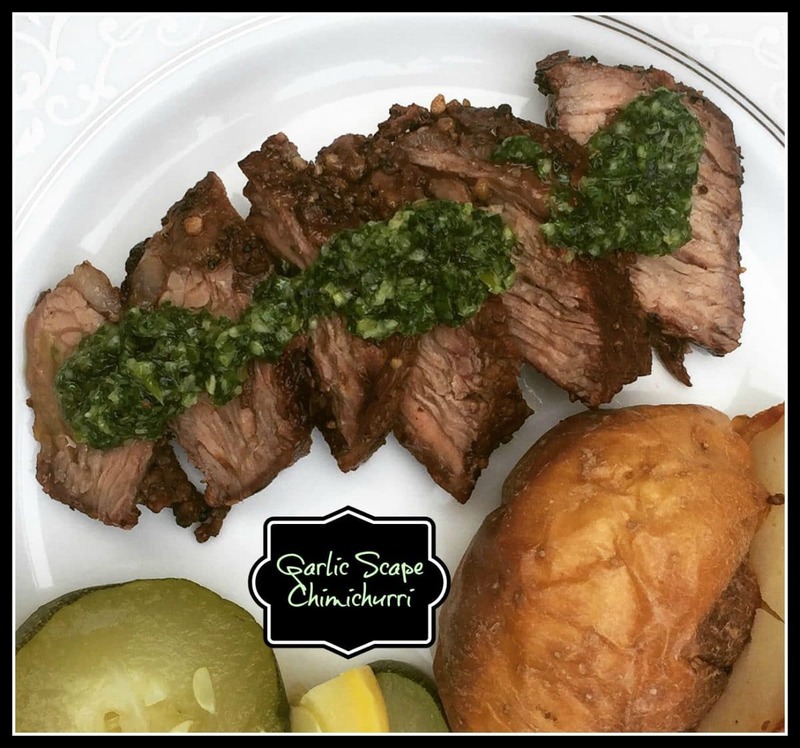 I would put chimichurri on all things… I am always looking for ways to change it up a little. Hope you like it!